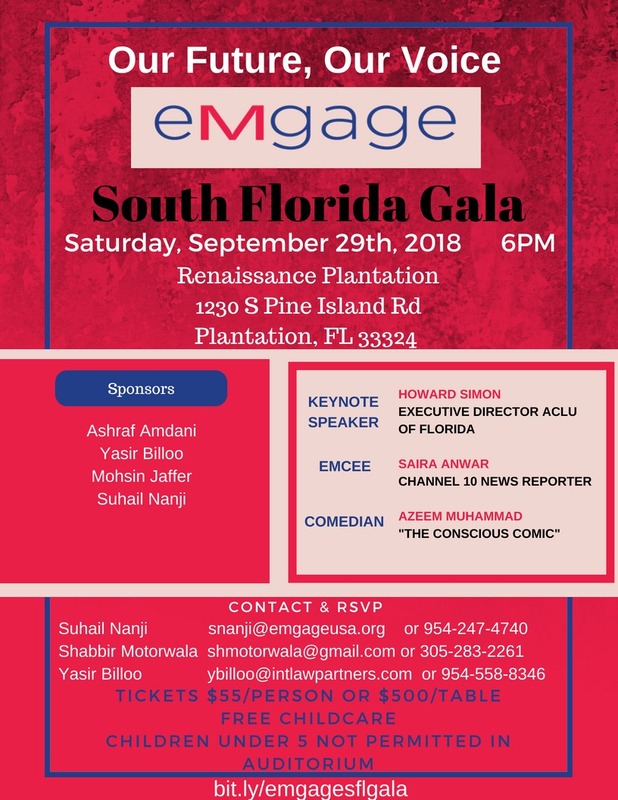 Emgage Action is a membership based 501c(4) that seeks to mobilize American Muslims to advocate for issues that define who American Muslims are by what they stand for. Our issues of focus include Civil Liberties, Criminal Justice Reform, Income Inequality, Healthcare, Immigration Reform, National Security and Climate Change. Emgage Action also has a connected Federal Political Action Committee, Emgage PAC that supports and endorses state and federal candidates for political office who support the values of our organization. Emgage PAC works with candidates that support issues that are of importance to underrepresented communities, with a specific focus on American Muslims throughout the United States. Primarily the organization’s activities focus in the District of Columbia, Florida, Michigan, Virginia, Pennsylvania and Texas.